Looking for a Used Ford Focus near Milwuakee? 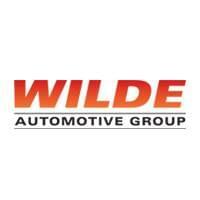 The Wilde Automotive Group has several used car dealerships in the surrounding Milwaukee area, and in Madison! We make sure to carry several used Ford Focus models on our lot to answer the high demand. If you don’t see the perfect car, feel free to call any of our dealerships and we will look for you! Wilde is your one-stop shop for new Chrysler, Jeep, Dodge, Ram, SRT and Subaru sales, used and certified pre-owned vehicle sales, service and parts in Southeastern Wisconsin. We are fully-stocked with hundreds of cars, trucks, mini-vans and SUVs for every budget. CALL our knowledgeable staff at 262-544-5400, learn more about us and VIEW OUR ENTIRE INVENTORY online at www.wildedodge.com and www.wildesubaru.com, or VISIT us in person, conveniently located at 1710 Hwy 164 in Waukesha, WI. We look forward to serving you! Clean CARFAX. Passed Dealer Safety Inspection, Recent Oil Change.2018 Ford Focus ST FWD 22/30 City/Highway MPGRecent Arrival! Odometer is 7689 miles below market average!